A Neoclassical Demi-Lune chest. 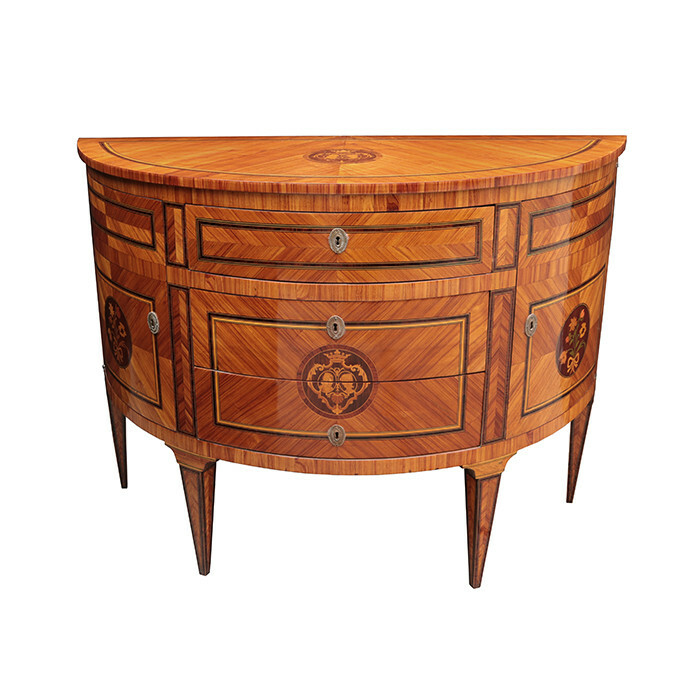 Various woods in marquetry patterns with fine fruitwood inlay details. Dimensions: H:31 W:45½ D:19 Inches.